Lawn Frogs Landscaping Roswell, GA is a full landscape design, landscape installation, and landscape maintenance company providing unparalleled lawn service to Roswell, Georgia. Our Roswell landscape company provides tree and shrub trimming, plant installation, annual flower and seasonal color plantings, pressure washing, tree removal, storm clean up, limb removal, privacy fences, concrete driveways, concrete sidewalks, retaining walls, turf aeration, mulch installation and pine straw. Our lawn care programs offer custom lawn services designed to fit the homeowner’s landscape maintenance needs. Our lawn maintenance packages include one time clean ups, weekly lawn service, biweekly lawn service, even monthly lawn service. Lawn Frogs Landscaping implements the most up to date horticultural pocedures while providing landscape maintenance and lawn service to your property. We carry only full floating deck lawn mowers, high end trimming equipment, and sharpen our lawn mower blades daily to ensure and even cut turf leaving your lawn green and shrugs healthy. 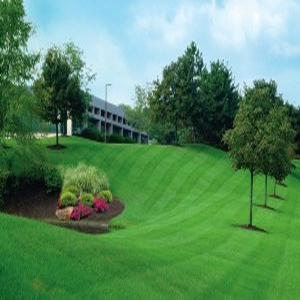 Our commercial grade landscape equipment is well maintained and our technicians are thoroughly trained in lawn care service. We are proud and honored to have provided lawn maintenance Roswell GA has trusted for over a decade now. Please call us today to get a free, no-hassle quote for any landscape related projects you may have.